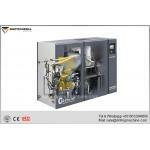 Highest reliability. 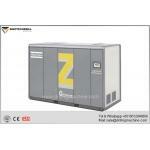 Over the past half century, “Z compressor” has been the representative of durability and reliability. They integrate Atlas Copco’s mature screw technology, stainless steel cooler, AGMA A4/DIN 5 gear and first-class motor system; all these help improve the overall reliability. 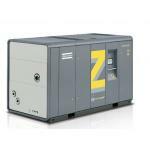 Z Compressors are assembled based on long-term and effective internal engineering practice and are manufactured and tested per ISO 9001. Maximized energy-saving-- Atlas Copco’s unique and proven rotors ensures high efficiency within its service life. 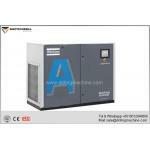 State of the art compressor element is driven by high-efficiency motor so that the whole unit can obtain the maximum efficiency. By using our unique and innovative variable-speed drive, energy resumption function and non-energy-consumption MD dryer, the energy-saving effect is further enhanced. 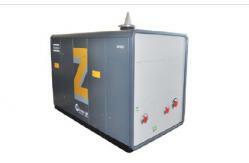 Certified 100% oil free-- Nitrogen compressor, designed based on the Z 55-900 oil-free air compressors, can provide 100% pure gas per ISO 8573-1 CLASS 0 (2010) and guarantees no polluted nitrogen. CLASS 0 means no risk in pollution, no product damage or safety risk, no shutdown-related risk, and no damage to the company’s hard-won professional reputation. Easy installation. 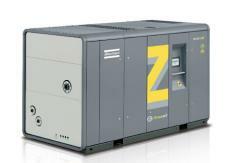 The integrated design of Z compressors includes internal pipeline, cooler, motor, lubrication and control system. All parts can be used immediately once plugged. 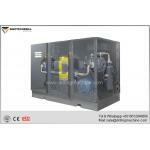 It is characterized with easy installation, short trial run time, no need of other external instrument, air supply, etc. Advanced control and monitoring-- In order to maximize efficiency and reliability, Elektronikon® is provided to control the main drive motor and limit the system pressure under the small pre-set pressure range. By easy extension such as extra sensor, digital contact, site bus, Internet and SMS communication function, Elektronikon® Controller can adapt to any specific customer demand. 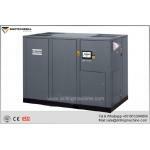 When it is used together with ES multiple compressor controllers, operation of the whole compressor room can be optimized. Brand new & not used.